The Dubai Roads & Transport Authority has today launched 3 new Bus feeder services for the Dubai Metro Stations to cover more areas within the Dubai Emirate and will also embark on widening, upgrading and merging other routes in Dubai as well. The launch of the new routes has come to light as a result of elaborated studies and extensive site surveys to identify the requirements of linking the metro stations in Dubai with the public bus network in Dubai and establishing the specific requirements of all areas in the vicinity of the new Dubai Metro stations that warrant merging, widening and upgrading several existing routes. Work will begin on the new routes to coincide with the opening of 7 new metro stations in Dubai, namely: Emirates Airlines, Airport (Terminal 1), Karama, Emirates Towers, Dubai Internet City, Dubai Marina and Ibn Battuta” stated Al Dosari. The 3 new routes will be dedicated to serve Dubai Internet City Station, Dubai Marina Station and Jumeirah Lakes Towers Station. The new routes include Route (F32A) which will set off from Dubai Marina metro station, pass through several districts and landmarks of the Dubai Emirate such as Knowledge Village, Le Méridien Mina Seyahi, Exeter University in Dubai and several other areas across Sheikh Zayed Road. 2 buses will be used on this route and the service will run at 20 minute intervals. Route (F37) starts off at the Dubai Marina Metro Station and passes by several areas and landmarks of Dubai such as Hilton Dubai Jumeirah, Ritz-Carlton Towers, Le Méridien Mina Seyahi and other areas. 2 buses are deployed on this route and the service will run at 20 minute intervals. Route (F39A) starts off at the Dubai Marina Metro Station and passes by several areas and landmarks of Dubai such as Le Méridien Mina Seyahi, HSBC Bank and other areas. 2 buses are deployed on this route and the service will run at 20 minute intervals. In another development, Route (F6) will be expanded to Al Garhoud, which is covered by Route (F7), and Route (F8) will also be expanded to Al Badia and Dubai Flower Center which is covered by Route (F9). 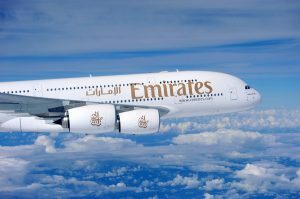 Both routes will start off at the Emirates Airlines Metro Station and will not enter the Dubai Airport Terminal 3 area. Routes (4, 22, 42, 48 and 93) will be expanded, Route (22) will be diverted to start from Al Qusais Depot, and Route (F48) will be rerouted to start off at Century Mall Terminus, Al Mamzer. Routes (F53, 31, 44 and 47) will be rerouted such that Route (F44) will terminate at Festival City Bus Stop. Routes (2, 24C, 34, 90, 91, 91A, X28, X92, F07, F09, F37A and F999) will be merged, and the headway in other routes will be enhanced.